It’s important that you understand the financing costs involved when you trade CFDs. You see, while they are not very large, they can mount up over time, and you must account for them when considering how profitable your trading has been. 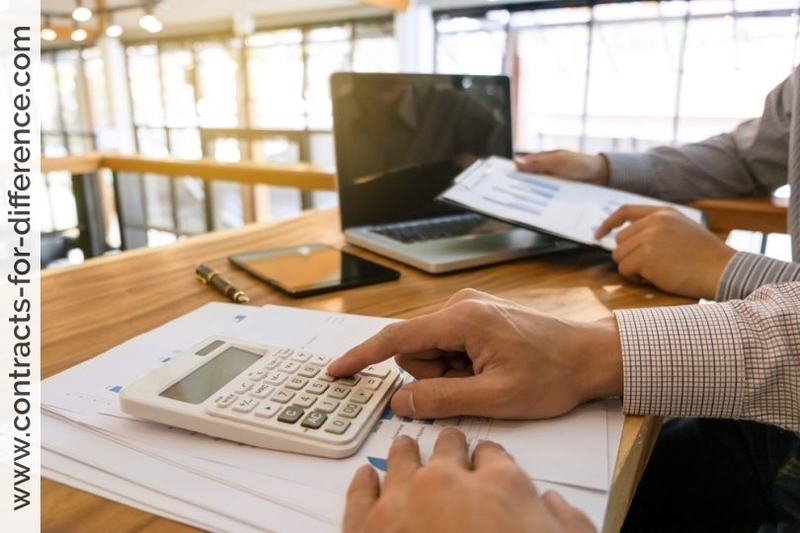 You incur financing costs because of the leverage that CFDs give, where you only have to pay a fraction of the value of the position you are taking an interest in. Effectively, you are borrowing the value from your broker. It depends on your style of trading how important financing costs are. If you only day trade, and never hold a position overnight, then you will have no true financing costs. You will have to pay commission on each trade you do, and the spread between the bid and ask prices, which are the prices that you can buy and sell at, but financing costs are related to how long and how much your trade is. If you are like many people and want to short term trade or swing trade, that means you will be holding the position for a period from days to weeks. The financing costs then become more important, and you will want to find a broker who offers a low financing rate. A common figure quoted is 2% over a standard published rate such as the London Inter-Bank Offered Rate (LIBOR) in the UK, or the Reserve Bank of Australia (RBA) rate in Australia. The interest rate is calculated back to a daily rate, and this includes weekends. 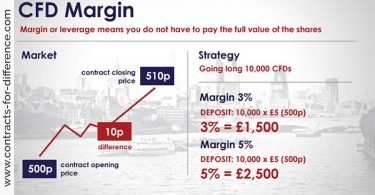 This applies to any long position, and it is the practice to charge interest on the whole amount, regardless of the margin that you have put up. LIBID = London Inter Bank Bid Rate. When you take a short position with CFDs, you will receive interest for the number of days that you hold the position. The rate for this is commonly given as the same published rate, but minus 2%. You need to make sure of the time that overnight financing is charged, as this varies depending on your broker. The fact that you are charged financing costs is the main reason given for not regarding CFDs as a substitute for share ownership. The RBA currently stands at 4.75%, which means you would typically be charged 6.75% for a long position. While there are times when this might be good value, you must get a 6.75% return on your investment just to break even (actually more, if you figure in the capital gains tax and costs). Of course, if you are in a short position and receiving 2.75% on your trade, you are in a very different circumstance. Note particularly that this is 2.75% per annum on the value of the underlying asset, and not 2.75% on the small margin that you have paid. While in itself this interest would not be sufficient to make you go short, if other factors suggest that the trade is warranted this is a small bonus. Commission charges on share CFD trades are very much similar to normal share dealing. You deal at the cash price of the share and pay a commission calculated as a percentage of the value of the transaction. 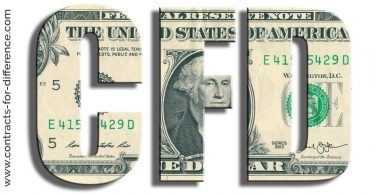 CFD Positions held overnight are subject to an overnight financing charge. This is because when you buy a CFD, the broker is effectively lending you money. Holders of long (buy) CFD positions pay interest. Holders of short (sell) positions may receive interest depending on the prevailing LIBOR rate (LIBOR stands for the London Interbank Offered Rate and is linked to base interest rates). Traders pay interest on the full contract value of a long contract for difference. Interest is typically charged at 2% to 3% over the LIBOR rate. Clients holding a short CFD contract may receive interest on the cash that the sale of the underlying share would have generated. The financing charge is only incurred if the CFD trade is held overnight. The financing charge will be credited or debited on the next trading day. For instance: If a client were paying a long CFD overnight financing charge of 2.5% over LIBOR and LIBOR was at 1.5%, that client would pay a financing rate of 4% per annum. If the total contract value was £10,000 the financing charge would be around £1.10 for every day the contract was maintained (£400 per annum divided by 365 days).